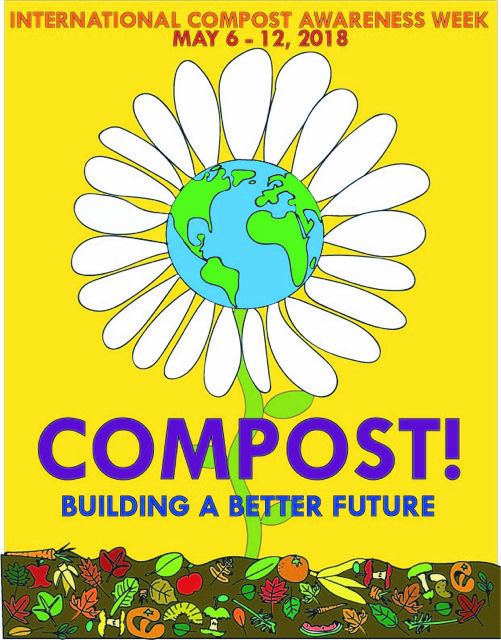 Join us in celebrating International Compost Awareness Week (ICAW)! From May 6-12, 2018, organizations around the world will be promoting composting and sharing our love for it. 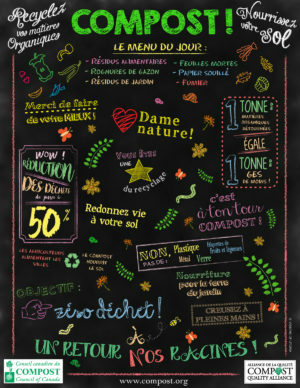 We’ve been celebrating it since 1995 and challenge you to find one action to do in May to spread composting. In Canada, the umbrella organization for ICAW is the Compost Council of Canada. May 10th, come to South Pointe School in Winnipeg for a FREE public backyard composting 101 session. Walk away with all the knowledge you need to start composting at home! This presentation sponsored by Councillor Janice Lukes. No registration required. May 12th, register for a FREE public presentation on how to vermicompost! Perfect for apartment-dwellers or those with little yard space, as well as families with young curious children, vermicomposting lets worms do the work. Details TBA. This presentation is delivered in collaboration with GreenPeace Winnipeg. May 12th, we’ll be in Altona offering two 45-minute presentations (1:15pm and 2:30pm) on backyard composting, along with a bunch of other great organizations! This Earth Day Celebration event is organized by Altona’s Community Action Network. It is from 1:45pm to 3:45pm. Live in a condo, apartment, or other multi-family building? Check out how you can bring compost bins and training to your building for FREE with our ON SITE Multi-Family Composting Program. 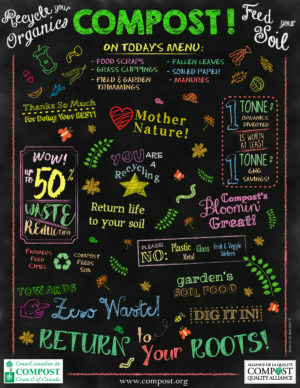 Start composting at home! Head to our informational page to learn the basics to come to one of our presentations. Already composting? Check out our FAQ page! Composting is easy, requiring little effort and very few tools. By composting at home, you can reduce your household waste by over 40% and cut down on green house gas emissions. When organic materials get sent to a landfill they produce a methane gas that is 21 times more harmful than CO2 gas. Whereas applying finished compost to the ground replenishes much needed nutrients to the soil and is absolutely loved by plants and gardens. This year in honour of International Compost Awareness Week, an awareness campaign that was started right here in Canada, Green Action Centre calls upon all Manitobans to get out there and start composting. Collect your food scraps: fruits, veggies, eggshells, coffee grounds, hair, pasta, tissues; it can all be turned into rich beautiful soil. Add in some dried yard waste such as all those leaves that you rake every year, avoid meat and dairy, stir once in a while and you’re composting! Easy. Period. At school, at work and at home, composting can be down anywhere. Take this opportunity to get started and find out how easy it is. Green Action Center is here to help you with all your composting education needs.